We all know that having a fast website is something important for any online business. The main reasons for optimizing your website speed are the improvements this brings to your conversion rate, traffic and bounce rate statistics. Yet, from my experience as the manager of a top WordPress speed optimization company, most people that are trying to increase their page speed, want this because of SEO reasons. This shows a lack of public awareness about those conversion rate, bounce rate, traffic, etc. statistics. Even though countless studies about these problems have been done over the years by big companies such as Google, Yahoo or Amazon, few of these studies have reached the ears of the run-of-the-mill webmaster. The regular webmaster is highly sensitive to any information relating to SEO, but is turned off by boring bounce rate statistics. This is why most people who end up searching for a speed optimization service are doing it because of SEO reasons. 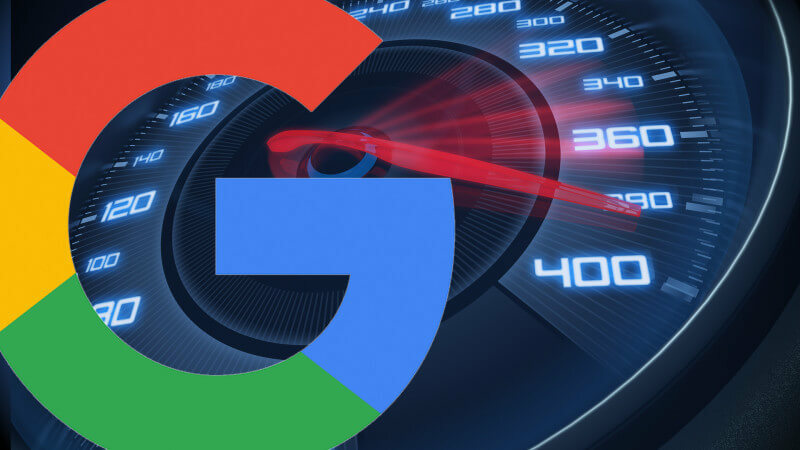 So the big question is: How much does page speed really matter in SEO? 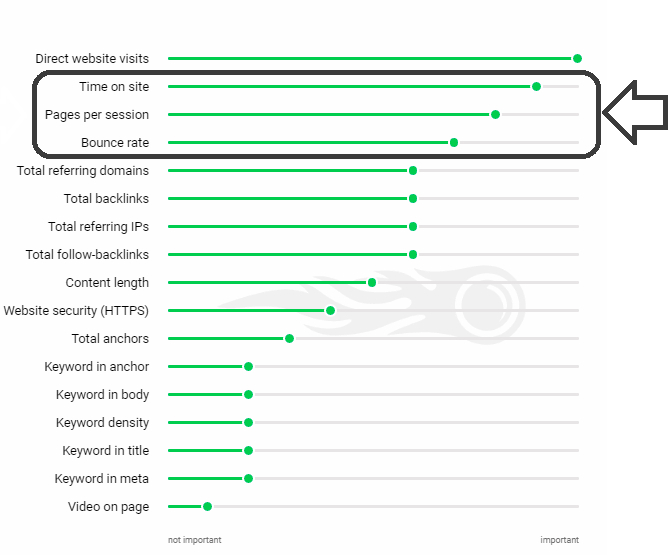 As we can see, three of the top four factors that show the strongest correlation with top placement in Google Rankings are page speed dependent factors. These are also called “UX (user experience) signals”. Lately, Google has begun giving more and more importance to user experience factors as opposed to backlinks and other traditional ranking factors. Of course, blacklinks will always remain important, but user experience signals have been gaining more and more importance over the years. Google can see these bounce rate, time on site, pages per session, etc. statistics through Google Analytics. If Google notices that visitors are not engaging with your website, it will lower it down in the results. The problem is that these statistics are heavily dependent on page speed, not necessarily on quality of content. Statistics show that a single extra second leads to 11% lost traffic and 7% lost conversions. Bounce rate, page views per user, and other such statistics are also brutally affected by page speed. When does this hurt the most ? From personal experience and from what I’ve read in different studies regarding this problem, the SEO effects of page speed are more pronounced on the first page of results. It’s like Google starts giving more importance to user experience factors when deciding how to arrange websites on the first page of results. This makes speed optimization even more important for those that are fighting a difficult battle at the top of results. For them, page speed is more important as a SEO factor than for others. Is it worth it to optimize your website speed purely for SEO benefits ? Like everything in the field of SEO, it depends on the size of the project and the importance of that website. It is up to every individual webmaster to do the math and decide how much they should invest in improving their website performance. Generally, the conversion rate, traffic and bounce rate statistics alone make it worth it for any website producing over 500$ a month. If one were to do it purely for the SEO benefits, that would require a bigger threshold. But why are we doing SEO to begin with if we are not interested in CONVERTING that traffic brought on our website through SEO ? Google has announced that in 2019, they will switch to a full Mobile Index. This will give even more importance to website speed and user experience factors that are directly dependent on speed. Today, Google is using two separate algorithms for ranking websites on mobile and desktop. The mobile algorithm gives much more importance to speed related factors because many websites are loading slow on mobile. This is a problem Google has been trying to fix through ranking faster websites higher than slower ones. From 2019, the same algorithm that is today used on mobile will be fully used on desktop. Giving the rising importance of page speed in SEO, more and more webmasters have started optimizing their websites for this aspect. They should have started doing this long ago and for different reasons, but it’s good that they are at least doing it now. A lot of progress has been made during the last decade in the field of internet services. Internet speed is getting better by the day. Yet, most of this responsibility lays on the shoulders of webmasters and SEO experts. An incalculable amount of efficiency is lost due to slow, completely unoptimized websites. The fact that Google has started pressing the big SEO boot on regular webmasters necks is a positive development in my opinion.